Callaway has revealed the new Rogue Driver and Fairway Wood family, unlocking greater Jailbreak distance with increased forgiveness for all golfers. Revolutionary Jailbreak Technology is also found in the all-new Rogue Drivers – in Sub Zero, Standard and Draw models – further boosting the ball speed power of Epic in an all-new super-forgiving head design. Jailbreak in Rogue Drivers incorporates two hour-glass shaped titanium bars positioned parallel to each other behind the face connecting the crown and sole. This creates a dynamic relationship between the crown, sole and face of the driver. The stiffer body created by Jailbreak allows the face to take on more impact-load to promote faster ball speed, and allows a new X-Face VFT face architecture, which achieves fast ball speed across an expansive area of the face. Together, Jailbreak and X-Face VFT work together to create the ‘Jailbreak Effect’, which promotes a remarkable boost in ball speed and distance. 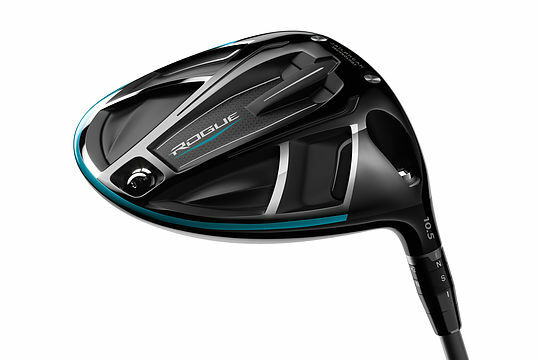 Rogue’s visually larger footprint also features the largest ever carbon composite surface area in a Callaway Driver. The light and strong Triaxial Carbon Crown saves significant weight that is subsequently redistributed in the head to increase forgiveness and MOI, promoting straighter drives. During the R&D process, Callaway also partnered with aerodynamics experts at Boeing, to enhance airflow across key areas of the Rogue Driver head, optimising the proven Speed Step geometry on the crown, reducing overall drag and naturally increasing head speed. Callaway is also introducing the world’s first fairway woods to feature Jailbreak Technology, helping golfers to unlock the same ball speed benefits they will see in the drivers. Marrying Jailbreak to Callaway’s proprietary Hyper Speed Face Cup Technology, Rogue Fairways (available in two options, Sub Zero and Standard) are a step-change in ball speed performance across a larger part of the face, promoting increased distance and improved forgiveness. Two vertical steel Jailbreak rods, positioned directly behind the face and cast into the main body of each head, work in-sync with the revolutionary Face Cup, to create new levels of ball speed, even on off-centre hits. Ball flight and distance is further managed with the addition of Callaway’s Triaxial Carbon Crown, moving unwanted weight from the top of the head and re-positioning it where it can influence CG, MOI and ball flight. Dr. Alan Hocknell, Senior Vice President, Research and Development at Callaway Golf, commented: “Bringing Jailbreak technology to our fairway woods and hybrids, and making it work in harmony with our other market-leading technologies, quite simply, moves the performance dial beyond anything we’ve previous achieved. Rogue Drivers and Fairway Woods will be in store from February 9, 2018. The Callaway Rogue Drivers will be priced at A$719.99 (NZ$849.99), Rogue Fairway Woods A$429.99 (NZ$519.99) and Rogue Hybrids at A$359.99 (NZ$429.99).